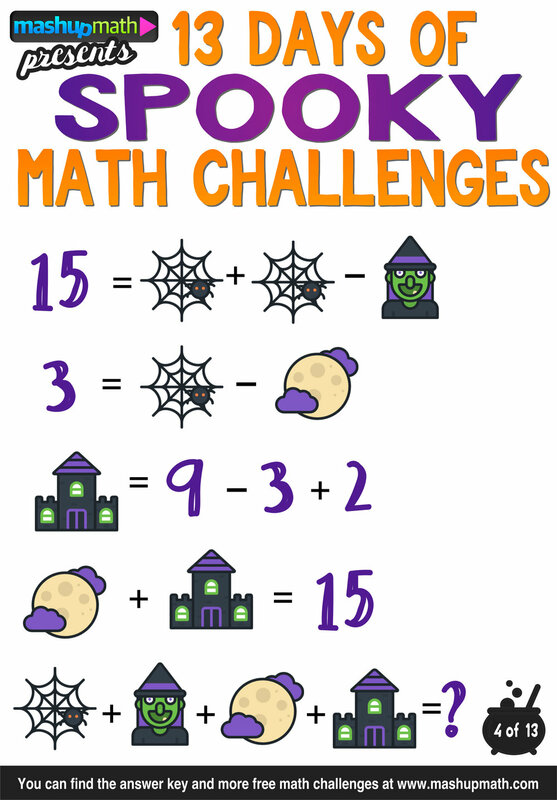 Are you hoping to find some super fun and engaging Christmas Math Activities and Christmas Math Worksheets for your elementary school kids this year? 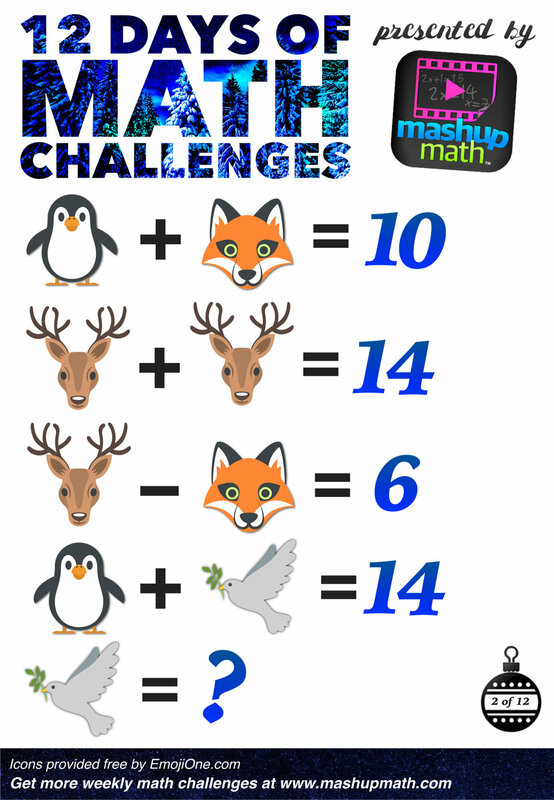 Well Christmas has come early, because you can now access 10 Free Christmas Maths Activities and Christmas Math Worksheets for Elementary School Kids that are not only highly engaging, but easy to print and share as well. 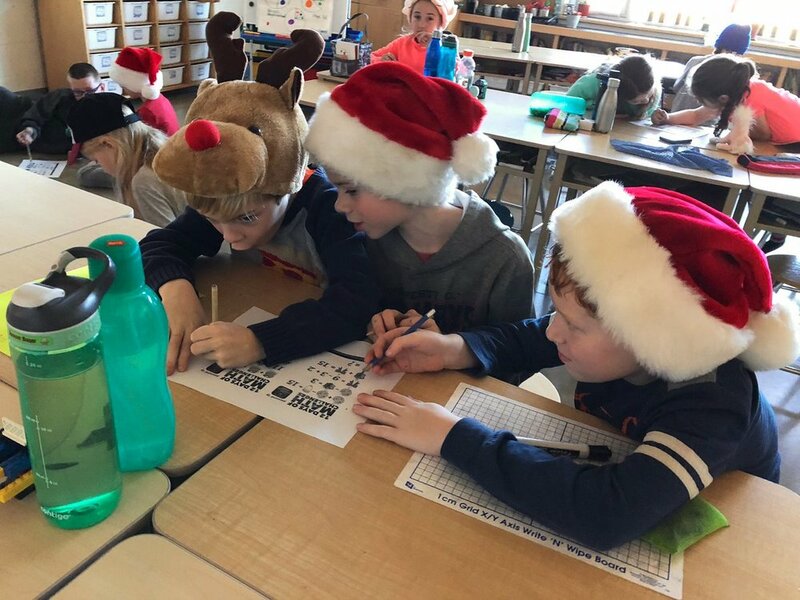 These Christmas Maths Activities come in the form of cute math puzzles that require students to use their math skills to find the value of various Christmas Holiday icons and symbols. 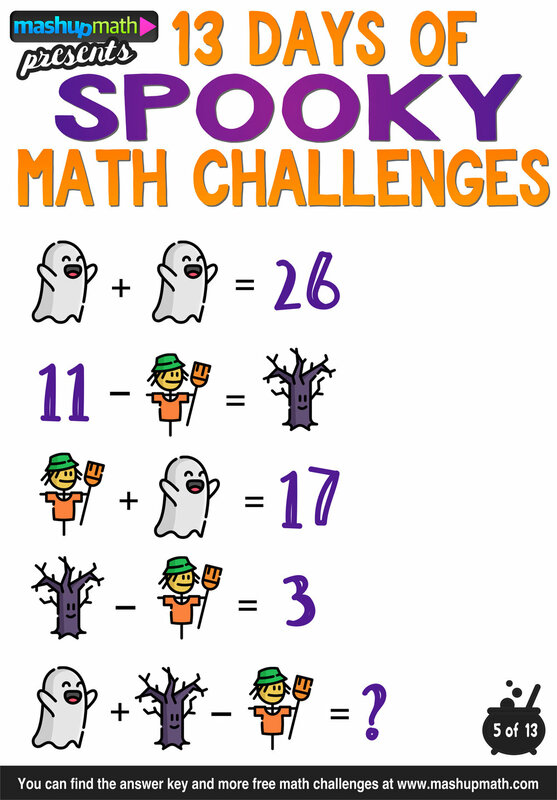 The activities are appropriate for grades 1-5 (level 1-5) and make for great warm-up, cool-down, and/or homework assignments. 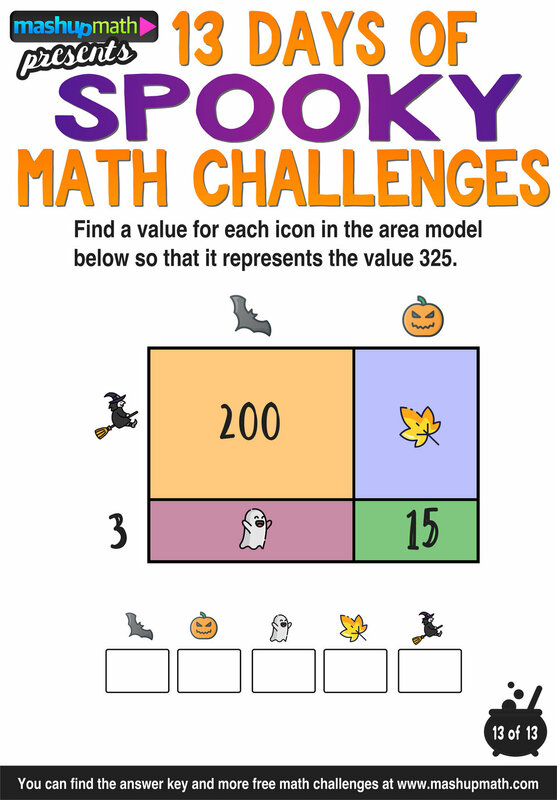 The following printable holiday math worksheets allow you to inject a little bit of merry mathematics into each daily lesson from now until Christmas break! 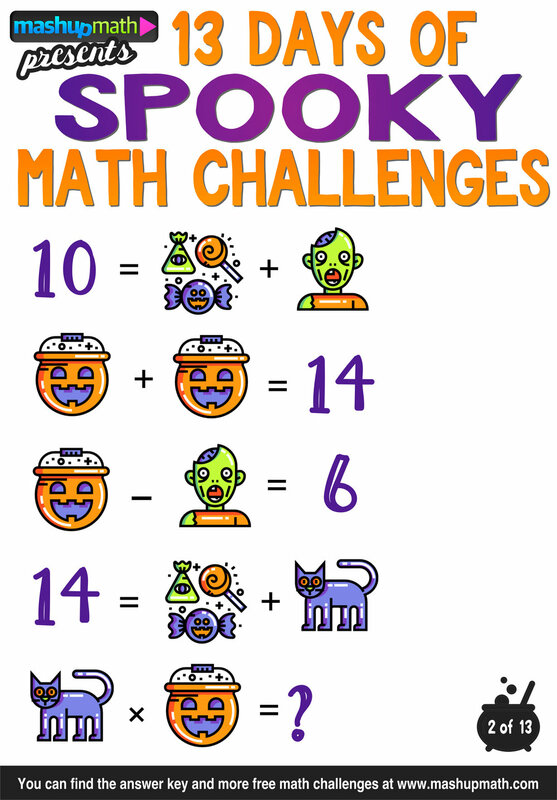 Parents can also share these fun Christmas Math Activities with your kids to keep them engaged and thinking mathematically while on break from school. All I want for Christmas is your input! Have thoughts? Please (oh please, oh please) share them in the comments below! 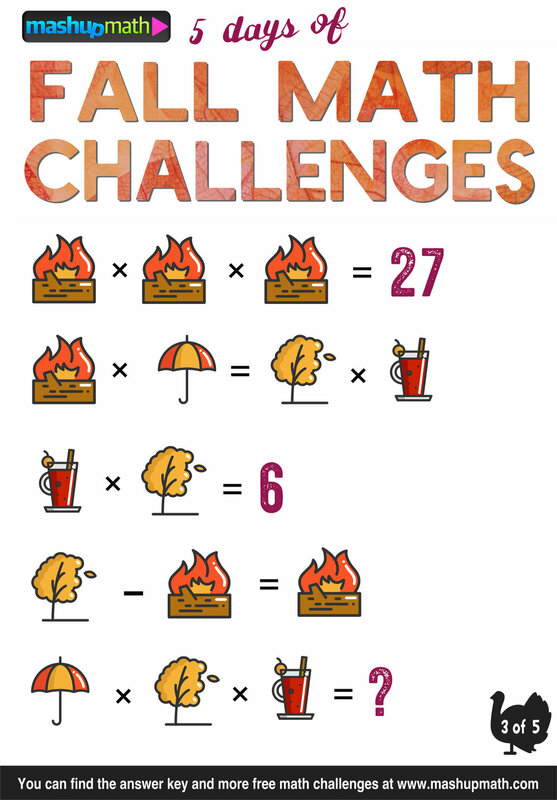 Are You Ready for 12 Days of Holiday Math Challenges? 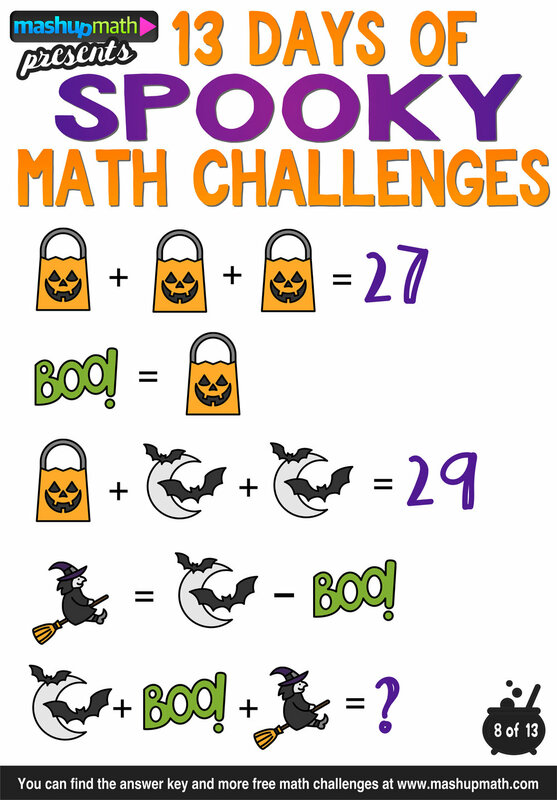 Teaching math during the holiday season is challenging. Your kids' focus is, to say the least, diverted as their enthusiasm and excitement grows with each passing day. 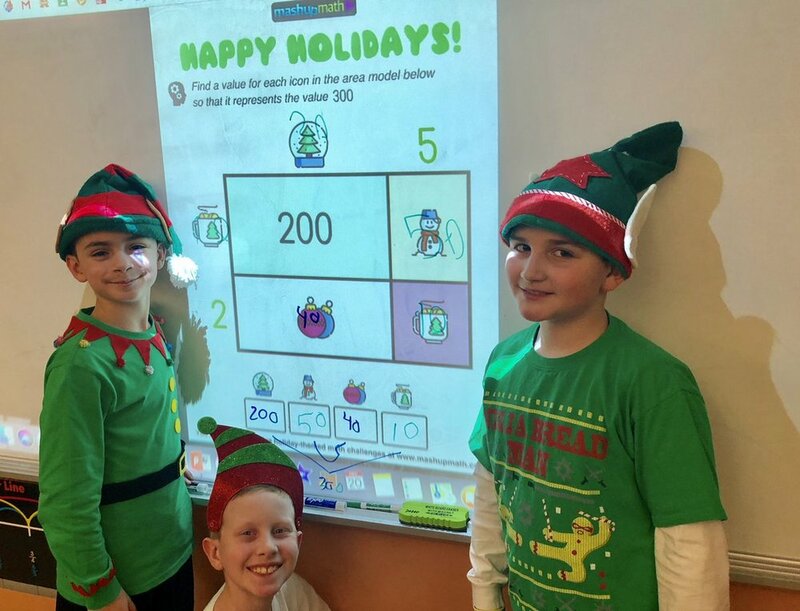 Savvy teachers can take advantage of students' enthusiasm by incorporating holiday-themed activities into their lesson plans. 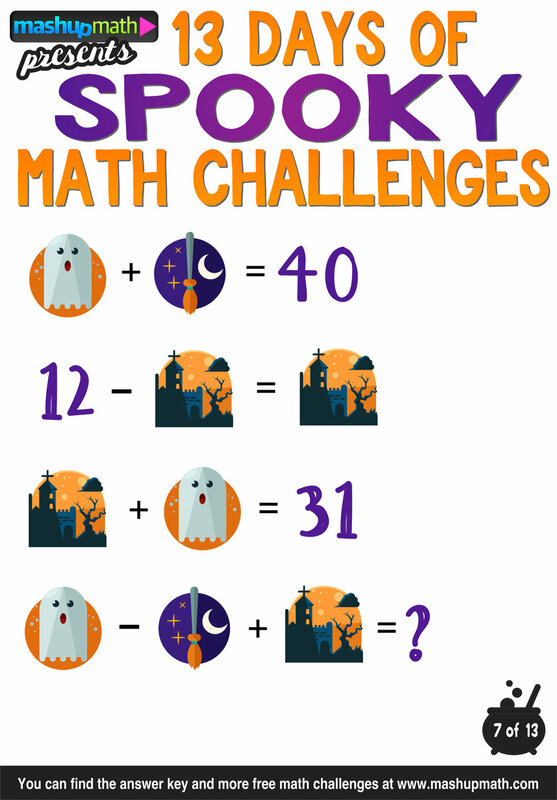 I know that preparing activities can be time-consuming, so my gift to you this holiday season is the 12 Days of Holiday Math Challenges! 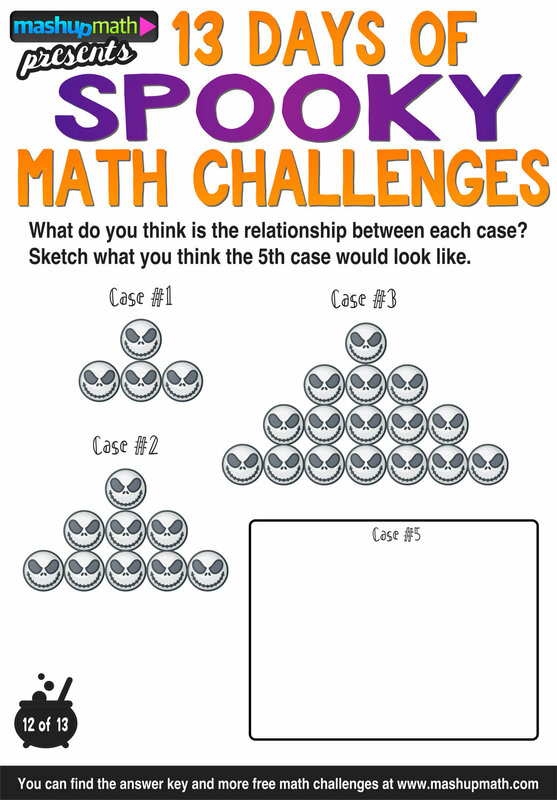 The following printable holiday math worksheets allow you to inject a little bit of merry mathematics into each daily lesson from now until Christmas break. 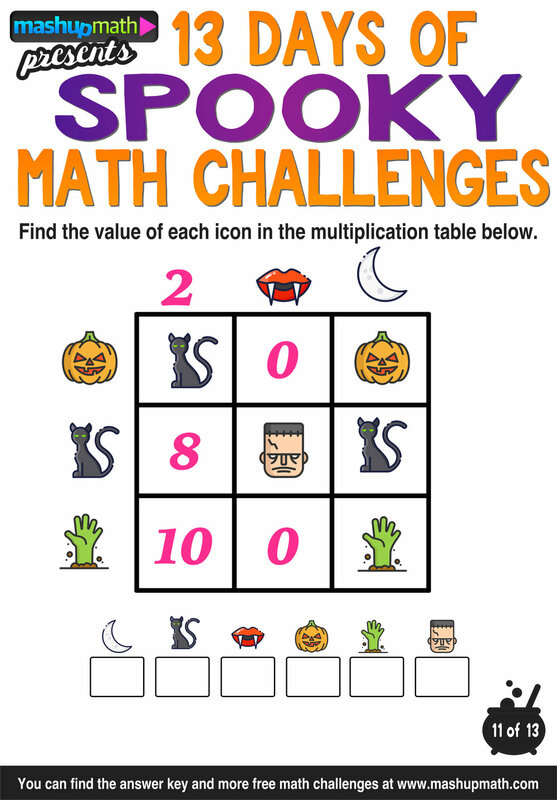 Each holiday math worksheet shares a challenge question (answers are included) appropriate for all elementary and middle school grade levels. 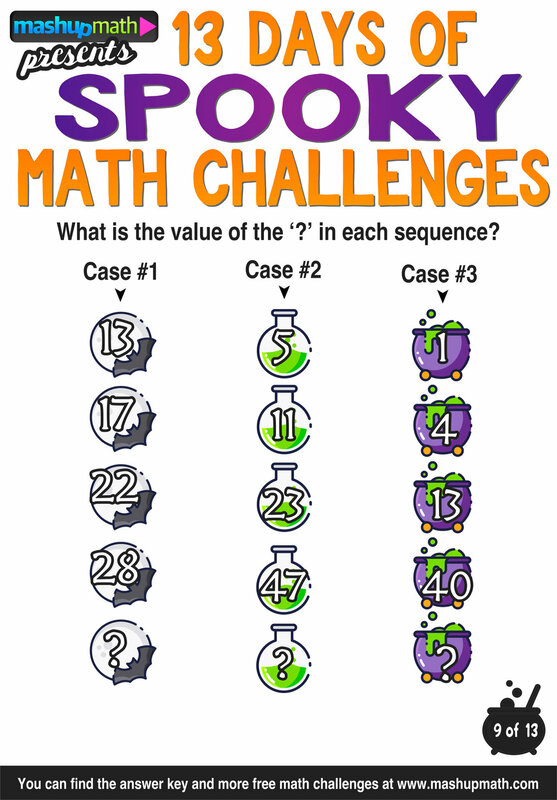 Parents can also share these fun challenge questions with your kids to keep them engaged and thinking mathematically while on break from school. Each value is one more than three times the value of the number that comes before it.